What is a Psychic Horoscope? We all wonder what a psychic horoscope is, when compared to your baseline horoscope. Well, when a psychic horoscope is undertaken the reader will also channel messages from Spirit and integrate them into the astro reading. Some people prefer a strictly traditional horoscope without a reader’s metaphysical input, but it has to be said that a psychic horoscope can give us an add-on, a spiritual dimension to our sky. Let us take the astrological predictions for 2012 as an example: In December 2012, Jupiter squares Neptune, Neptune squares Venus, and Venus opposes Jupiter. 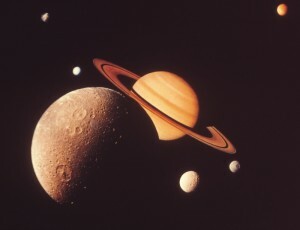 The death/birth power of Pluto’s vibrations will emanate intensely during December 2012 . From a purely astrological perception this could create the end of our civilization, due to crucial planetary line ups. 2012 shows a planetary configuration quincunx (150 degree aspect) between Jupiter and Pluto. A quincunx between Jupiter and Saturn and a central opposition (180 degree aspect) between Jupiter and the Mercury/Venus conjunct, Jupiter, a planet with such expansionist tendencies, will “rev-up” the “Pluto effect”. The Saturn configuration will also teach us painful earth bound lessons as Jupiter continues to expand and push us through extreme breakthrough, perhaps terrifying and painful for many. These planetary placements could cause vast flooding on this planet, perhaps due to a meteorite falling into the ocean, and variant explosions that react off such an event. Sort of “Noah and his ark” type scenario. All a bit grim but hang on there before you start building your ark and emigrating to the top of Mount Everest, there is another side, the side of the psychic horoscope. The psychic horoscope takes the view that what is about to happen is above all spiritual in nature, that the symbology of planetary language needs to be considered overall in that it has less to do with “material events” and more to do with soul evolution as a natural process. In other words, the intense planetary placements could encourage humanity to take an evolutionary stance, with the resulting transformation of our destiny, rather than an asteroid blowing us all up to “kingdom come!” The psychic horoscope will delve into the spiritual reasons as to why we have reached this extreme point of change. It predicts the metaphysical nature of all things. In other words, it is possible that the psychic horoscope will not translate astrological predictions so literally. In 1991, astrological forecasts foresaw a terrible time of cataclysmic events, but in reality nothing occurred. Some could classify that year as a pre-cursor to radical change in views, and the beginning of a financial collapse murmuring “under cover” long before it exploded on to the front page. It could have issued in all that global warming, earth quakes and tidal waves, but also it could have introduced us to evolutionary of thinking and planetary awakening. The psychic horoscope therefore will not translate astro symbology literally. In the case of 2012 the psychic horoscope encourages us to move on to spiritual evolution and not give so much attention to materiality but rather the inner advancement of sole purpose. This would mean reserving the energy we have and enjoying our lives by loving and giving to others, in fact by eliminating negativity we will realize a wonderful truth within our hearts and souls, which is we can all become lights to this world. In other words the psychic horoscope encourages us to wake up to the truth, which could be that we have been working along mistaken paths for thousands of years and it is time for love, joy and compassion to reign on this planet! A psychic horoscope will be both a map of your material life and spiritual path. It will educate you as to the right roads to follow, but above all it will lead you to inner evolution. As we look up the Milky Way, we will all begin to realize, slowly but surely, painfully or easily, that it might be time to vanquish the negativity that holds our planet in its grip, to stand up against corruption and manipulation in order that we can be truly free citizens of the world. To read our own horoscopes and understand that within them the blessing of free will encourages us to make a choice for change and end the wars, the famines the horrors of our 21st century civilisation. .